MyPhone Rio 2 is slated to be unveiled next week but the handset is hot enough that the company couldn’t contain it for long. The successor to the company’s most popular device sneaked out for a photograph in the internet. Yugatech posts the first live photo of the MyPhone Rio 2 stating that it will also be powered by the Android Lollipop just like the company’s MyPhone Uno handset. The device is pegged to sport a 5-inch touchscreen with 720p HD display on the get go. 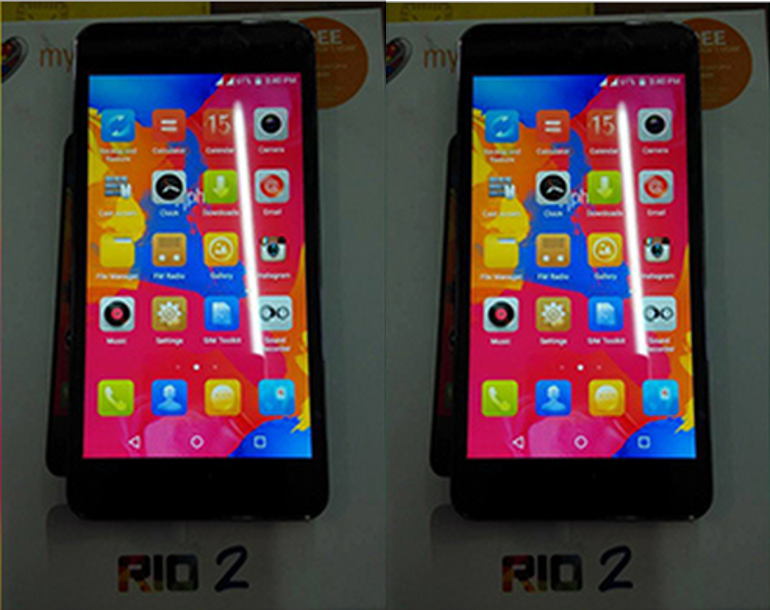 Some of the notable specs of the Rio 2 are the 1GB of RAM, 1.3-gigahertz quad-core, 8GB built-in memory, 8MP Sony sensor rear camera and 2800 mAh battery. The device will debut on March 31 alongside three other handsets from both Rio and Infinity line. No pricing has been released yet but if we are to estimate, it would fall from Php 4,500 to Php 5,500 range.